If you’re leaving town for the holidays, it’s normal to feel concerned about the security of your home. And there’s a good reason why. Burglaries increase over the holidays compared to the rest of the year, and CNN has some theories as to why that is. First of all, thieves know that there are expensive gifts inside most homes just waiting for someone to open them. They also know that people leave during the holidays. And if you live in a climate that gets snow, a snow-filled driveway advertises that you’re not home. Because of this, it’s reasonable to consider how to keep your house secure during the holidays. Here are a few steps you can take to make your house less attractive to burglars. Home security systems will make your home a lot less attractive to a burglar. If you already have an electronic entry system on your house, try installing floodlights that turn on when motion is detected to keep your house secure during the holidays. 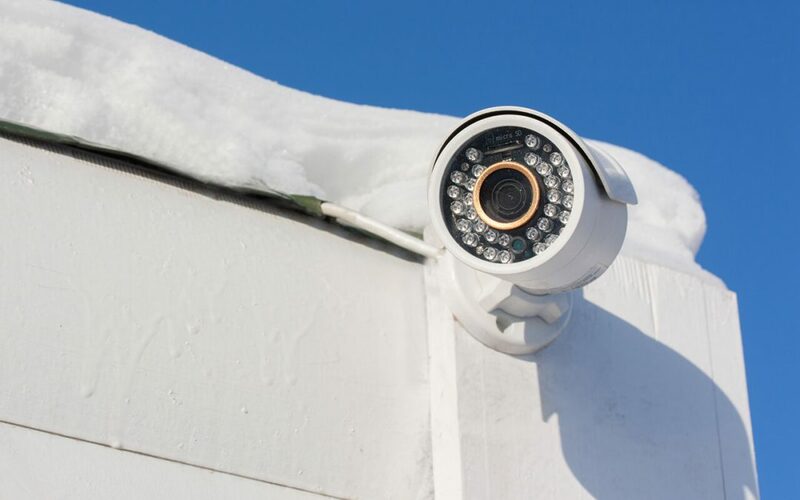 You can also install video surveillance around the perimeter of your home. Even just placing signs or stickers showing potential burglars that you have a security system in place can prevent a break-in. If you want to keep your house secure during the holidays, a neighbor or friend who lives nearby can help give the illusion that someone is home while you’re away. Since snow on the driveway is a dead giveaway that the homeowners are away, ask a friend or neighbor who will be in town when you’re gone to shovel or snow blow for you. You can also ask them to pick up the newspaper and mail and take out the trash on trash day. When the trash bins are left out for days before or after trash collection, this tells potential burglars who are staking out your home that you’re away. A neighbor can make your home appear to be occupied and look out for strange activity. Many people keep their holiday trees in front of the living room window with presents underneath. This is an invitation for burglars to peek through windows and see all the gifts that are just waiting to be opened. If you’re going out of town, find another place to store your packages. Even though they can’t see what’s inside, burglars know that many people give valuable items as presents. If you are leaving town right after the holidays, don’t leave the packaging from expensive items like laptops and televisions on the curb for recycling. It’s tempting to tell all of your friends about your exciting plans on social media. Many criminals are skilled at searching social media for posts about being away for the holidays. Then they can use the internet to find out your address and scope out your house. Keep your home safe while you are away for the holidays with these suggestions from Scout Home Inspections.